More than 50,000 websites with the .ke domain name will now have their businesses connected globally, quickly and securely following a partnership between Kenya Network Information Centre (KeNIC) and the East Africa Data Center (EADC) in Nairobi, Kenya that has seen Kenya’s registry, KeNIC, move its servers to East Africa Data Centre in order to try and maintain 100% service delivery up-time. 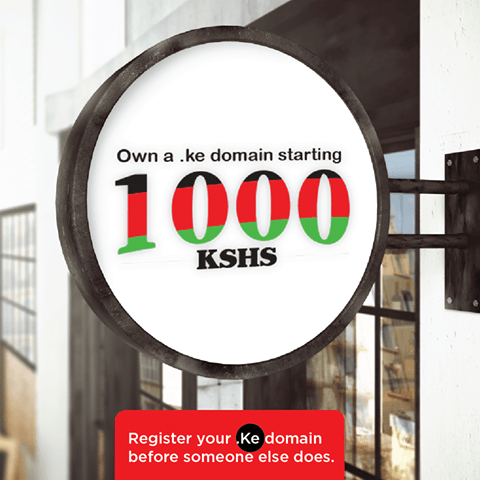 The .ke domain name is gaining ground in Kenya compared to international domain names, such as .com, .net, and .org, as users experience more personal service in registering their domain names locally through KeNIC. The .ke domain registration service also provides a national identification which seeks to promote better local consumer engagement through national pride and greater trust in local operators. .ke domains are said to give better search engine performance locally and this makes websites easier to find for Kenyan target audiences. This in turn helps Kenyan companies using the .KE domain extension the power to generate more business by ensuring they can be found quickly on the internet. What the move means is that essentially, KeNIC used to allocate considerable amount of its time in managing the primary servers and this move ensures that this responsibility is now passed on to EADC who will now manage and resolve the same. “Previously Internet connectivity and dependence on generators during power outages were some of the challenges affecting KeNIC’s operations. These problems will now be a thing of the past as a result of collocating our servers to EADC,” said KeNIC CEO Abdalla Omari. The move comes as part of KeNIC’s drive to encourage Kenyan businesses to opt for local domain names, and to keep their Internet data in Kenya. KeNIC’s ‘We Are .KE’ campaign has delivered a 60% increase in local domain name registration since the beginning of 2015, from 32,000 domain registrations when the campaign began to now over 52,000 inline with the government’s The National Broadband Strategy goal to put 75% of registered businesses online by 2017. 3/4 of this number will be for Small and Medium Enterprises (SMEs) and KeNIC is expected to be a major facilitator of this strategy. Dan Kwach, General Manager at EADC, said by providing the technical environment to host KeNIC servers, EADC was allowing KeNIC to focus on this mandate with its data now secure. “KeNIC can now focus on its core business. It should not be investing more on cooling, power and security just to host its servers. Let KeNIC focus on registering domains, and using more resources to sensitize the market on the advantages of registering locally. The East Africa Data Centre is a Tier 3 facility built to the specifications of the Uptime Institute, a globally acclaimed data center certification body that focuses on design of mission critical facilities, uptime and operational sustainability. We have invested heavily in cooling and power, among other essential requirements for a data center, to achieve the quality expected of any data center of international standards.” commented Dan Kwach.